Show your patriotic side. Just place the flag on the window and roll it up. Stays in place. 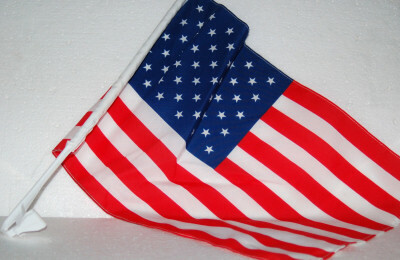 Nice addition to a patriotic theme basket or gift.